My Mother’s brother, (uncle) Joseph (Joe) Traynor lived in Ballymount, Clondalkin, and was a Volunteer with ‘F’ Company, 4th Battalion, No 1 Dublin Brigade during the late 19’teens’. I would welcome any information about his ‘Volunteering’ activities to include a historical note I am writing about him. 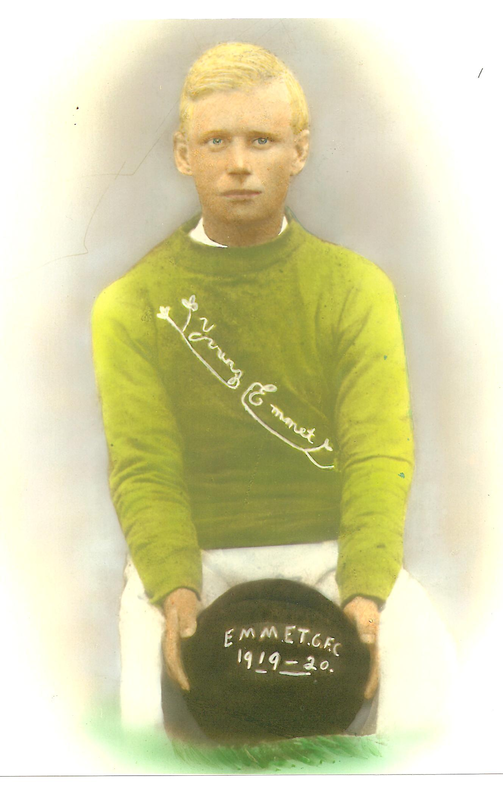 Joe was captain of the “Young Emmets” GAA football club based in nearby Fox & Geese on the Naas Road. He attended the infamous Tipperary-Dublin match in Croke Park on 21st November 1920, later to be known as ‘Bloody Sunday’. Joe Traynor was unfortunately one of the 13 people to be shot dead on that day, having been shot twice at the canal end of Croke Park as he tried to make his escape with many others over the wall at that end. Joe was a good friend of a PJ Ryan, with whom he attended the match on Bloody Sunday, and who was also a member of the ‘F’ Company. It was PJ Ryan who had to bring the tragic news of his death to Joe’s parents in Ballymount later on that Sunday evening. Any scraps of information would be gratefully received. For your information I am attaching a photo of Joe. Short time lapse video of the restoration of the Rolls Royce Armoured Car ‘Sliabh na mBan’. This historic car was part of Gen Michael Collins’ convoy at the Beal na Blath ambush where he was mortally wounded in 1922. Sliabh na mBan was renovated in the Combined Vehicle Based Workshops in the Defence Forces Training Centre, Curragh. Courtesy of the Irish Defence Forces Cavalry Corps. The last known photograph of Collins alive was taken as he made his way through Bandon, Co Cork,in the back of an army vehicle. He is pictured outside White’s Hotel (now Munster Arms) on 22 August 1922. On the road to Bandon,, at the village of Beal na mBlath(Irish, “the Mouth of Flowers”), Collins’ column stopped to ask directions. However the man whom they asked, Dinny Long, was also a member of the local Anti-Treaty IRA. 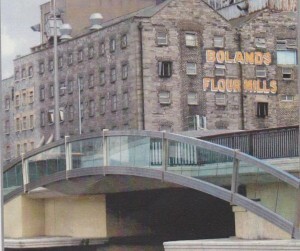 An ambush was then prepared for the convoy when it made its return journey back to Cork city. They knew Collins would return by the same route as the two other roads from Bandon to Cork had been rendered impassable by Republicans. The ambush party, commanded by Liam Deasy had mostly dispersed to a nearby pub by 8:00 p.m., when Collins and his men returned to Béal na mBlath but the remaining five ambushers on the scene opened fire on Collins’s convoy. The ambushers had laid a mine on the scene, which could have killed many more people in Collins’s party, but they had disconnected it by the time the firing broke out. 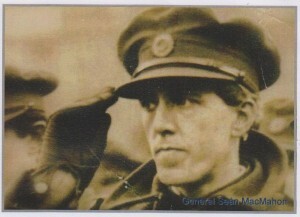 I am trying to find service records for James (seamus) rice of markethill, Armagh, who said he was with the third northern brigade of the irish volunteers. He came to the US sometime in the 20’s after being in a british prison. I am interested in any possible info.